Wow, what a lot of history in one building! Actually, make that four buildings! The main and original one is a grand old building which was originally a house. Over the years, other separate structures were erected on the site at different times as the main building became too small to house the numerous historical artefacts, which are mostly in paper form of one sort or another. The most recent building is a modern and more ‘fit for purpose’ building than the beautiful old building. Eventually it will be the place where the archived materials are showcased and stored in a more modern way – a climate-controlled environment. 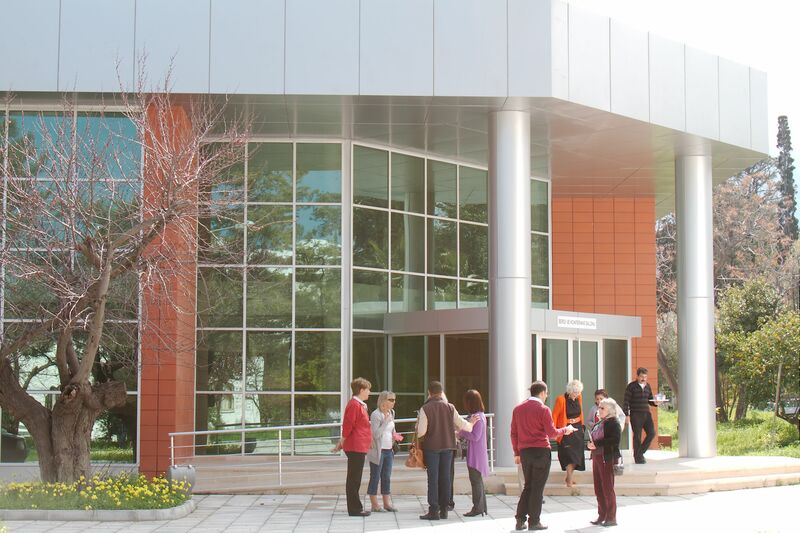 The National Archives & Research Centre is situated on a large piece of land in the heart of Girne. Like many people, I have walked or driven past the venue regularly and, to be fair, have wondered what lay behind the surrounding walls but that’s as far as I got. Eventually, I plucked up the courage to walk up the drive and ask the very pleasant and helpful staff if I could bring a group from The Anglo Turkish Association for a visit. 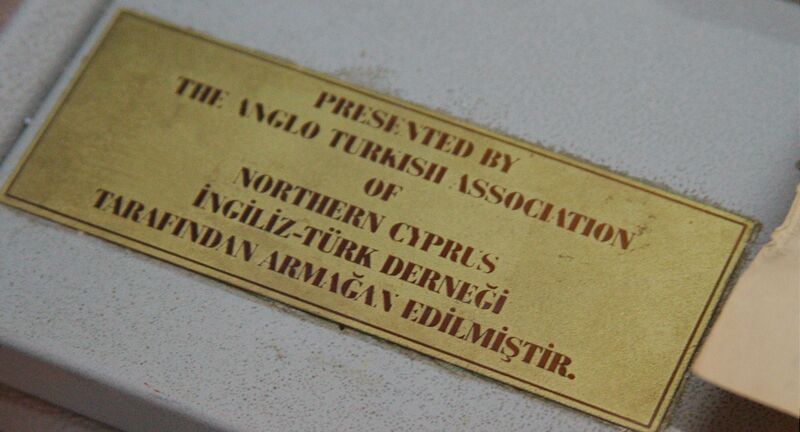 Ebru Bayazıtoğlu, the Assistant Manager, who assisted with translations today, told me that the Association had previously donated a map cabinet to house the Kitchener Map so we were not unknown to the Centre. An excellent start! Permission obtained, I promised to return with a date and time and left the building feeling full of anticipation for the visit. Announcement of the visit was made to members via email and posted in the press as well as an announcement on Bayrak Radio by Can Gazi. The numbers quickly built up and on the day a total 34 of the 36 people who had booked, turned up for the event. They were an animated group, full of anticipation and everyone commented positively after the tour was completed. Old newspapers bound by year, old photographs of times past, old maps going back to Ottoman times, copies of original Ottoman ‘Firmans’ (Royal Proclamations), all were on show. So much to see and ponder over! One copy of the Kitchener map was hanging the wall but was in a very bad state and we were told if it was moved it would disintegrate. We didn’t see the other map as it was away having restoration work done by one of the Universities. We saw staff at work restoring documents, scanning rare books – at the time he was working on a version of the Koran. So much to do and so few people to do it was my impression. One wonders how long it will take to make the complete move to the new building which is already partly in use. During the visit a thought struck me – that is that we are indeed lucky to have so much survive the turbulent times on the island. For as I have observed in other countries, one of the first things that the rampaging element does is to burn books, libraries and such like with the obvious outcome of destroying the nation’s heritage. We were very grateful for the time given to us by Director Gökhan Şengör, Technical Officer Ayhan Darcan and Assistant Manager Ebru Bayazıtoğlu. I love history and the history of Cyprus is certainly rich and colourful. The tour was rounded off with unexpected but welcomed Turkish tea as the weather had turned quite chilly. 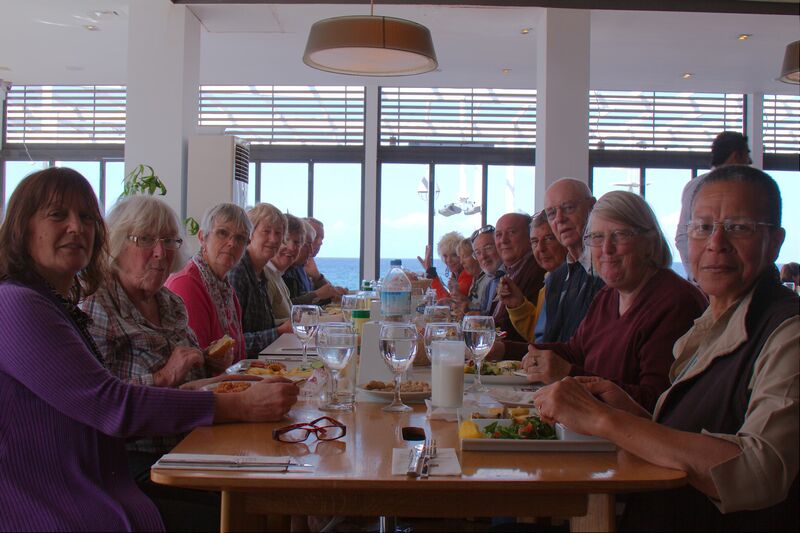 Eighteen of the group took up the offer of the optional lunch and off we went to Peanuts Restaurant and enjoyed an excellent social get-together. Donations from attendees raised 360TL towards future ATA projects. Please note that a Turkish translation of this article is pending.